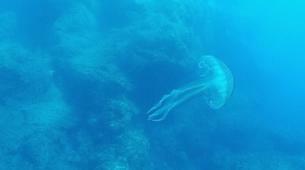 Aeolian Islands are a paradise for divers of all levels. The 7 islands offer a huge diversity of sea beds, vegetation and fauna. Reefs, caves, craters, corals and more: a lifetime is not enough to explore every spot! Diving Center La Gorgonia will help you discover the amenities of the islands guiding you in half day dives and night dives. 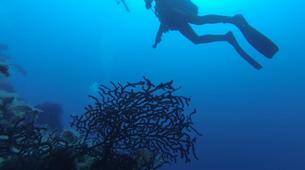 The diving center offers more than 20 different diving spots. Punta Castagna: Dive in an unreal scenery! White pumice stones that resemble fresh snow! Depth: 10 mt. min. - 40 mt max. 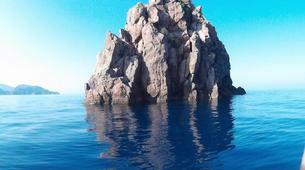 Pietra del Bagno: For divers of all levels, with colored rocks and outstanding sea life. Depth: 20 mt min. - 40 mt max. 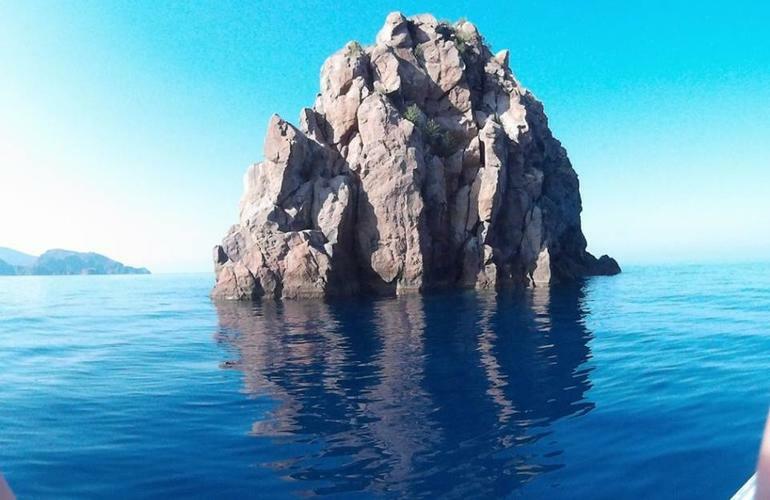 Secca del Bagno: The Secca del Bagno is without doubts one of the most interesting diving spots in the Aeolian Archipelago.You will explore colourful walls by colonies of red gorgonians. Depth: 40 mt min. - 45 mt max. Secca delle Formiche: In this naturalistic dive you will be able to see many species of eels, lobster, prawns, scorpion fish, groupers, octopus and parrot fish. Depth: 18 mt min. - 30 mt max. Scoglio Dei Monaci: An absolutely fascinating dive for the morphological characteristics of the spot. The multi-colored walls are full of cracks, hosting many lobsters, groupers and beautiful creatures. Depth: 25 mt min. - 45 max. 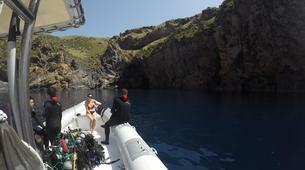 Lisca Bianca Wreck: The only wreck that can be discovered in sport dives in the Aeolian Islands. It is also the most fascinating one due to its advanced deterioration! Depth: min. 30mt - max 42mt. Spinazzola Rock: You will explore a flat bottom full of scattered stones. There, you will encounter many red rockfish, perches and small groupers. Depth: min. 20mt - max 40mt. Le Formiche (The Ants): It was given this name because these rocks are the smallest in the archipelago. 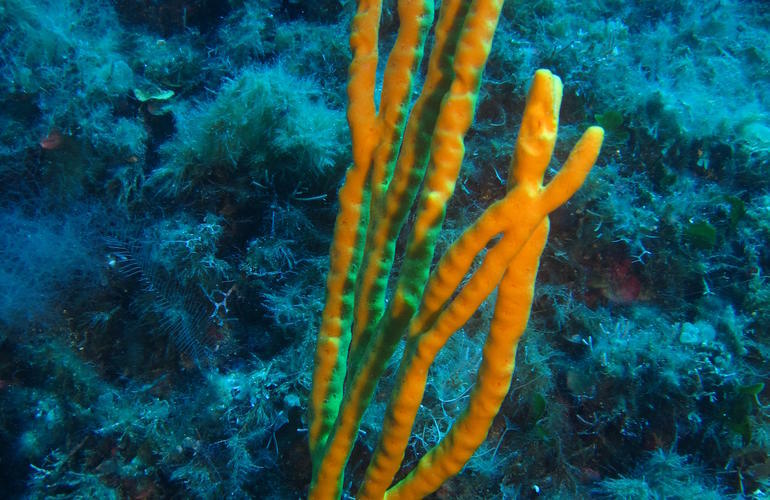 They are located in shallow waters, where the dazzling colors of the rocks are in contrast with the sponges and seaweeds, giving the water an escalation of shades from red to yellow and orange. Depth: min 18mt - max 25mt. 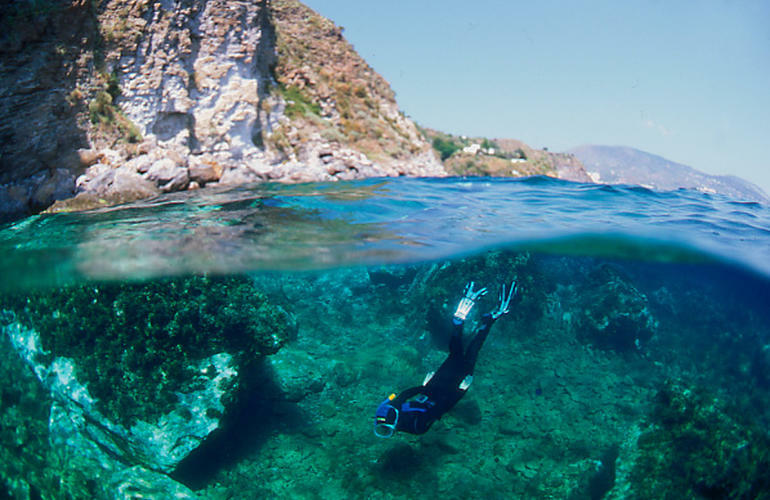 La Franata dell'Arcipelago: This dive is in the channel between the island of Vulcano and Lipari. The seabed goes down gradually until reaching 45 meters. The environment is mystic! Depth: 30mt min. - 45mt max. Testa Grossa Cape: You will unveil the mysteries of a cliff that goes straight down forming a vertical face to 50mt depth. Here you will find numerous sponge colonies, nooks, crannies and sea life! Depth: 25mt min. - 40mt max. 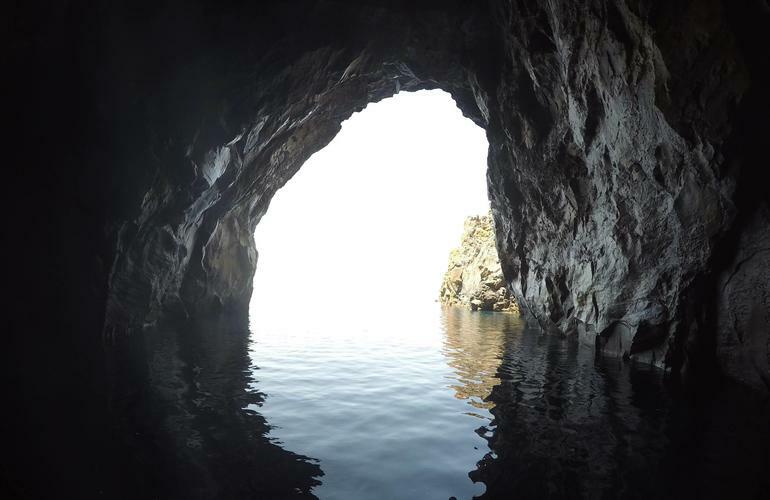 Quaglietto Rock: One of the most fascinating dives in Vulcano: explore rock walls and a cave where a statue of Saint Mary lies among gorgeous sea creatures! Depth: 20 mt min. - 30 mt max. Grosso Cape: Dve down a beautiful perfectly vertical rock 50 meters tall populated by sponge colonies, nooks and crannies. 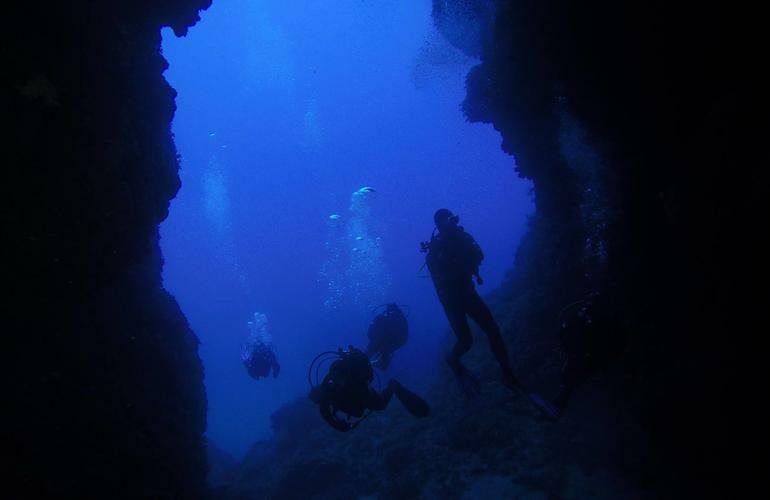 La parete della Sirenetta: Dive along a vertical reef right next the famous stone called la Sirenetta. Between the cliff face and the plateau many sulphur fumaroles color the surrounding sand in yellow and red! It will be a unique experience. 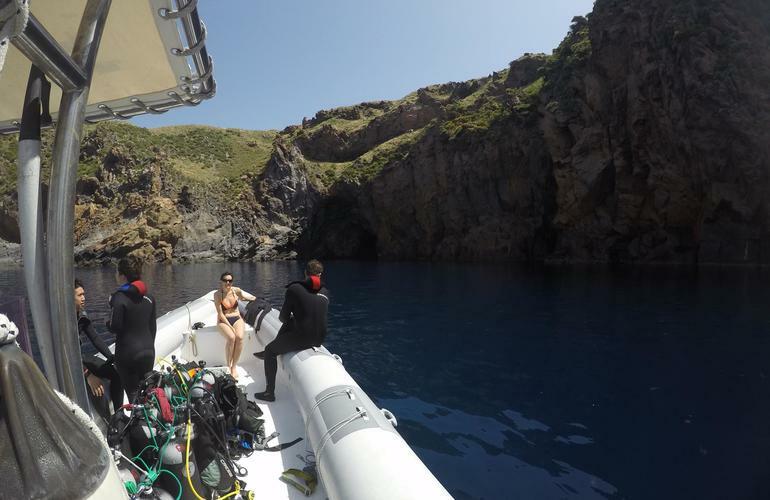 Grillo Cape: This dive takes place alongside an impressive volcanic ridge that reaches great depths. The site is popular amongst photographers due to the wonderful and infinite colors that are portrayed by groupers, octopus, red prawns, clouds of anthias and more beautiful sea creatures. Depth: 18 mt min. - 41 mt max. 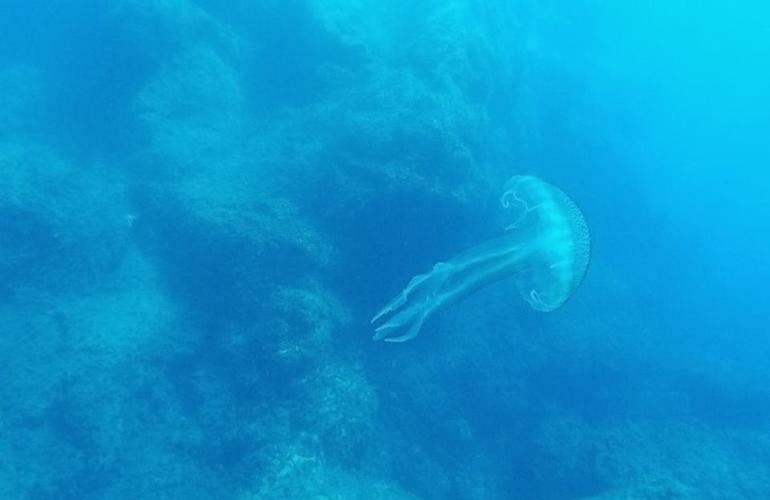 Secca del Capo: It is a demanding dive which is only possible in perfect weather conditions. The reef habitats and morphology are incredibly diverse and rich: groupers, congers, morays and more. 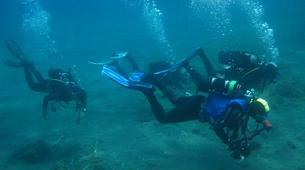 Punta tre Pietre: The variety of the landscapes make this dive a special one. The name, Punta Tre Pietre – literally "three stones peak" – refers to the three contiguous peaks at the bottom of the ridge. Depth: min. 20mt - max 38mt. 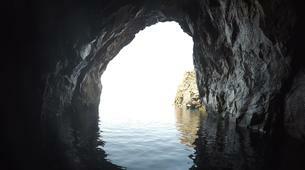 Secca dei Sei Metri: It is a hole with a diameter of 6 meters and a depth of 42mt. Imagine the fascinating feeling to sink until reaching the floor of the reef: it really feels like flying! Archeosub of capo Graziano: Explore shipwrecks from ancient and modern times in this extraordinary archeological dive. Grotta dei Gamberi (Cave of Shrimps): Explore a cave populated by an incredible amount of shrimps after going through a sea bottom rich of biodiversity. Cigliata di Tramontana: The sea bed is usually covered by a carpet of many colorful seaweeds, and rarely by a unique seagrass, the Posidonia Oceanica. This dive can be done by divers of any level. Depth: min. 20mt - max 30mt. 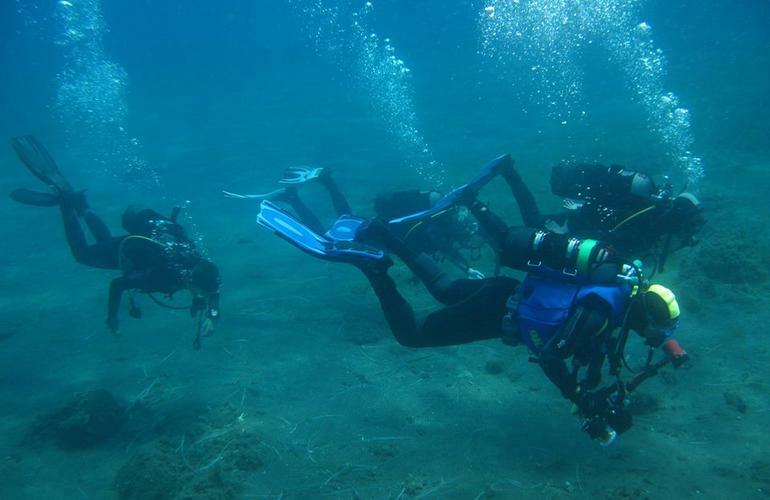 Secca di Scirocco: it is considered one of the most beautiful dives in the Tyrrhenian Sea. You will fully enjoy the rich sea environment of creatures and vegetation due to the pure clearness of the water. Depth: min. 20mt - max 45mt. 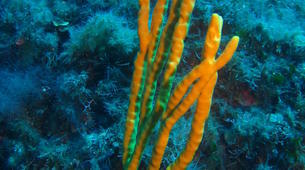 Strombolicchio: It is a very colorful dive due to the numerous red gorgonians and golden gerardias. One dive to explore one of the spots mentioned in the main description. Meeting time is at 9 in the morning at the diving center in Lipari. There you will meet your guide and get ready for the day. 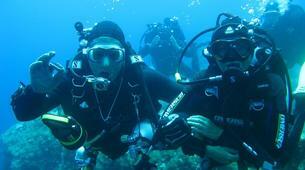 Each dive lasts approximately 2,5 hours (briefing, equipment trial, boat transfer), of which 40 minutes underwater. Therefore you need the Open Water Certificate to dive to a maximum depth of 18mt or the Advanced Open Water Certificate to dive to a maximum depth of 30mt. Diving spots might be subjected to changes depending on weather conditions and on site availability. You will meet your guide and get ready for the day. Meeting time will be decided with your instructor. 1 dive to explore one of the spots mentioned in the main description. All necessary diving equipment is included. You need to be a certified diver. 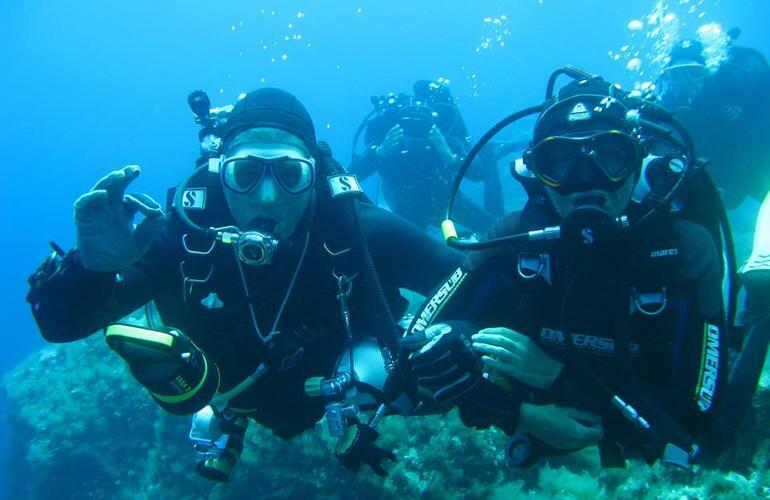 Therefore you need the Open Water Certificate to dive to a maximum depth of 18mt or the Advanced Open Water Certificate to dive to a maximum depth of 30mt. 3 dives to explore one of the spots mentioned in the main description. The dives can be scheduled on consecutive or non consecutive days depending on your personal agenda. Diving Center La Gorgonia will do its best to meet your preferences. 3 dives to explore one of the spots mentioned in the main description. All necessary diving equipment is included. 6 dives to explore one of the spots mentioned in the main description. 6 dives to explore some of the spots mentioned in the main description. All necessary diving equipment is included. 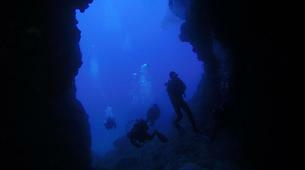 Dives can be done on non-consecutive days. Meeting time is at 9 in the morning. Each dive lasts approximately 2,5 hours (briefing, equipment try, boat transfer), of which 40 minutes approx. underwater. 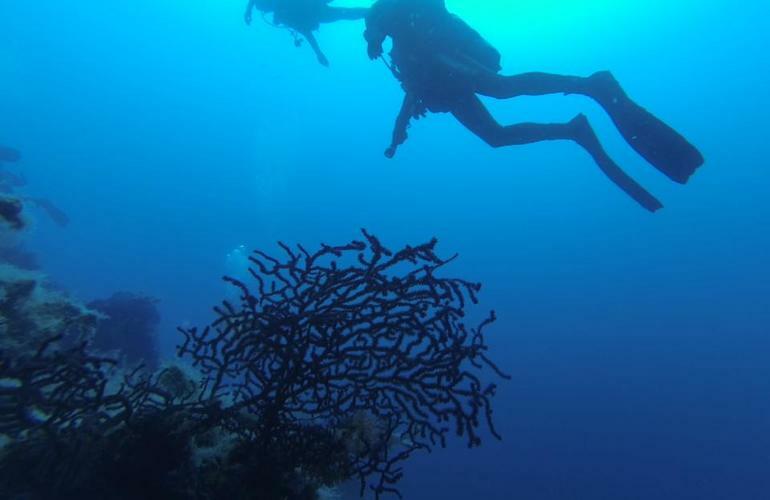 10 dives to explore one of the spots mentioned in the main description. 10 dives to explore one of the spots mentioned in the main description. All necessary diving equipment is included.